I had the pleasure of photographing Alison and Matt's wedding on Friday at The Ritz Hotel in London -and it lived up to my very high expectations! Shooting at The Ritz does come with some burdens however. It took me 20 minutes just to get in and I had to visit the cloakroom to borrow some items of clothing as I was in violation of their dress code (nobody has ever complained about my gold satin hotpants before), but it was all worth it. The rooms are opulent, offering so many opportunties for wonderful images and the staff are the very definition of professional. A very impressive set-up. Alison and Matt deserve a special mention too. They're one of the loveliest and most thoughtful couples I've ever worked with. It was a real honour to photograph their wedding. 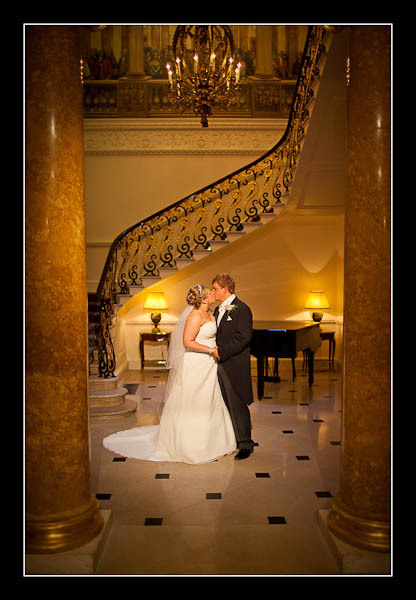 Post-production of their images is now complete and the gallery for their wedding at The Ritz is now online. Alternatively, please check out this non-Flash gallery. I'm going there myself. This is probably the best I've seen so far. Good Job! Thanks for the lovely comment - really appreciated!